In our site you will find Jigsaword Answers All Levels. 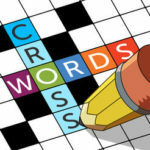 Jigsaword offers a new and fresh version of crossword where you play both the normal crossword and the jigsaw puzzle. The game takes place in pleasant environments, with poetic photos and peaceful music, which will make you enjoy the game a lot. Once you start playing this game you will see some messy letter fragments and your goal is to combine them together and build valid word.